One of the most jarring Blue Screen of Death (BSOD) errors on Windows PC is Driver Unloaded Without Cancelling Pending Operations. Almost every Windows 7, Windows 10, Windows 8/8.1, Windows 2000/XP/Vista user has experienced this BSOD error at some time in their life. 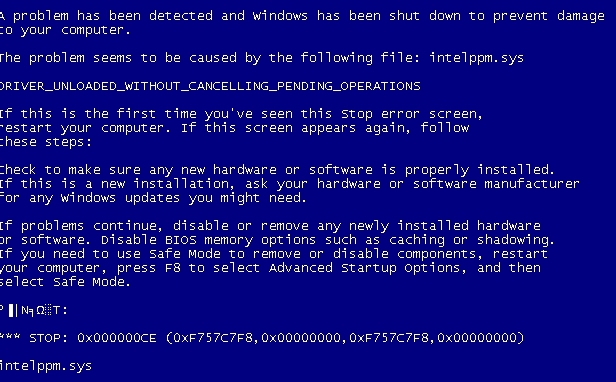 No matter how updated PC hardware and driver catalog on your PC, this Blue Screen of Death error may occasionally pop-up unexpectedly and could recur until you permanently Fix Driver Unloaded Without Cancelling Pending Operations Error on Windows 7, 10, 8/8.1, XP/Vista/2000. Here we have a straight forward set of solutions which you can easily follow to weed out this BDOS Error on PC Windows. This Driver error on PC could result due to executing command in apps that puts the computer in virtual mode. Most of the time, apps such as Microsoft Virtual PC, VMware and similar others are behind this error. Also, it’s been noted that PCs with Intel processors rather than AMD processors are more prone to this error. What Causes ‘Driver Unloaded Without Cancelling Pending Operations’ Error on PC? System gets stuck on Blue Screen at startup. Mouse and keyboards, and some other hardware tools could get unresponsive for a while. The error code ‘0x000000CE’ or ‘oxF757C7F8’ appears when you try to launch certain programs on PC. This error is most common during the running of virtual software programs on Windows PC and laptops. DISCLAIMER: We cannot guarantee the successful working of the solutions below. Follow them at your own risk. Depending on the driver and hardware configurations, some of the solutions may actually work to fix this Blue Screen of Death Error from Windows PC. When this error shows on your PC, it sometimes displays the name of the faulty driver that is causing this Driver Unload with Cancelling Pending Operations error. Just find the location of that error prone driver on computer and delete it immediately to solve this problem. Following message is displayed on when the error occurs due to faulty driver. Boot your PC in safe mode for Windows 10 & 8/8.1 users. On other Windows versions, restart PC and keep pressing the F8 key repeatedly until Advanced Boot menu open up on the screen. Select ‘Safe Mode’ and hit the enter key. Click the Start button on Windows and type cmd. Right click on the command prompt option and run it as an administrator. Type CD c:\windows\ and hit enter. Next, type CD c:\windows\system32 and hit enter. In the end, type DEL intelppm.sys and hit the enter key. This should delete the faulty driver and bring the PC back to normal. If not then see the next solution. 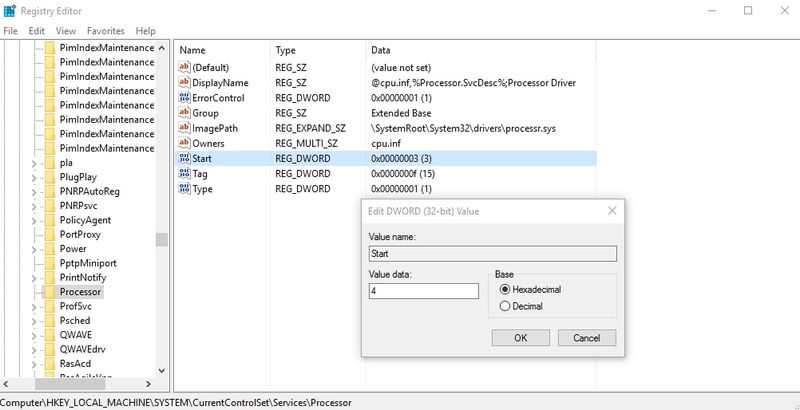 This BSOD error could be caused by the driver or Windows process errors. Try to update drivers and Windows to see if that solves the problem. If this error occurs after installing certain program on Windows PC, delete that software or program immediately in the safe mode to get rid of this BSOD error. Navigate to C:\Windows\System32\ on a different PC but with the same Windows version without any Driver related error on it. Copy and paste the Driver folder of the PC on a USB flash drive. Now connect that USB with PC having this BSOD error. Change the name of the Driver folder to driver.old and paste the folder on the location where current drivers folder is placed on PC to replace it. Restart the PC to finalize changes. See if this works, otherwise move on to the next solution. Open Run command box by pressing Windows + R keys on the keyboard. Type regedit on the command prompt and hit enter. Go to HKEY_LOCAL_MACHINE_SYSTEM > CurrentControlSet> Services > Processor. Double click on DWORD file named Start and change its value to 4 and hit OK. Similarly, click on the Start DWORD file and change the value to 4 and hit OK.
Close the window and restart the PC. This should solve the BSOD error under discussion. Or else see the next solution. Type ‘Device Manger’ and hit the Enter key. Find the Video Driver and double-click on it to open Properties box. In Properties, click on Driver tab and uninstall the driver. Now restart the PC and download updated version of the driver from internet to install on Windows. See if any of the above solutions worked to fix drivers issue on Windows 7/10/8/8.1/XP/Vista PC. Or else, try to fix corrupted system files on Windows PC. Upgrade to newer version of Windows OS or restore system to check if that addresses the problem at hand. For queries, leave comments in the section below.